The PSH is a powerful, robust, pedestrian stacker for heavy duty operation and can be used for a wide range of duties. 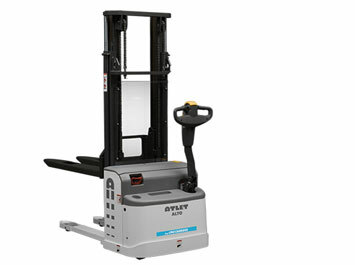 The heavy-duty stacker truck is ideal for internal transportation, order picking and stacking up to 5400 mm. The unique fork design contributes to high handling speed and easy access into “open” load carriers. The low chassis gives the operator a clear view of the load and forks. Improving safety and visibility, the offset tiller arm allows the operator to walk beside the truck. The ergonomic tiller head is designed for ambidextrous use and features easily accessible controls to facilitate handling. Are you picking up and putting away pallets in very confined areas? Then the Tiller-Up drive option with the tiller arm in the upright position makes it possible to work in even tighter areas. The PSH is a robust, versatile, easy to use truck for heavy duty material handling operations such as internal transport, order picking and stacking up to 5400 mm. 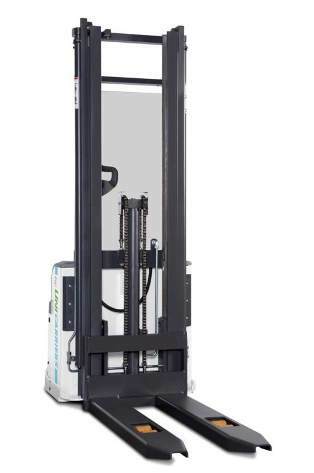 Lift capacity 1600 and 2000 kg. UniCarriers three different masts – the T telescopic, the TFV telescopic allowing maximum visibility and free lift, and the DTFV double telescopic with maximum visibility and free lift – combined with the offset tiller arm, ensure full visibility over the fork and load. The precise proportional lifting and lowering functions give the operator full control over the load and fork movements. The offset tiller arm makes it possible for the operator to walk beside the truck. This gives full visibility over the fork and load and reduces the risk of foot injuries. The offset tiller arm features a display and keypad for PIN code entry. Three different operator category settings ensure the operator has access to the right performance depending on driving skills and prevents unauthorised use. The ATC T4 controller including an advanced fault code function contributes to fast trouble shooting . The short and round edged chassis allows the operator to pick up and position pallets in confined spaces – especially important in production and other confined areas. The rounded edges also minimise the risk of damaged goods, while the low bumper on the short chassis prevents foot injuries. For even better space utilisation, there’s the option of Tiller Up drive.